Melanie's client was looking to brighten up her look. She did a balayage using #SCHWARZKOPFPRO #VARIOPLUS lightener and #olaplex to keep the hair healthy. She left very happy and will continue to use #UniteBlonda toning shampoo to maintain a cooler toned blonde. 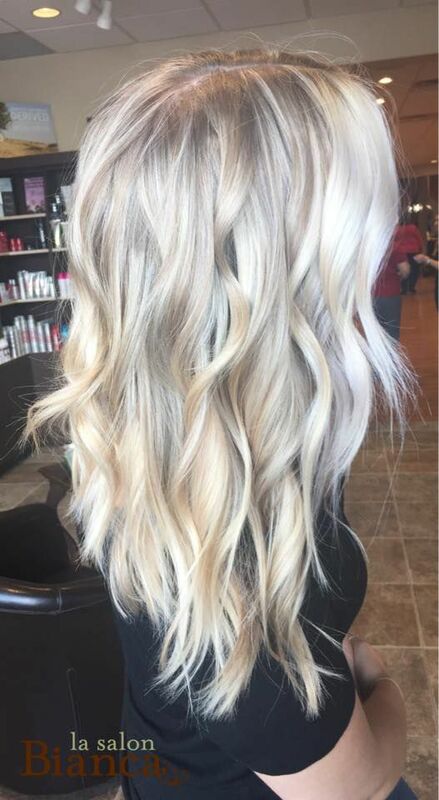 Ask your stylist about olaplex!